There’s no mention of virginity as a condition for becoming a vampire in Dracula, or in the Hellsing anime. But it is specifically mentioned in the manga. …And where do you think you’re going? 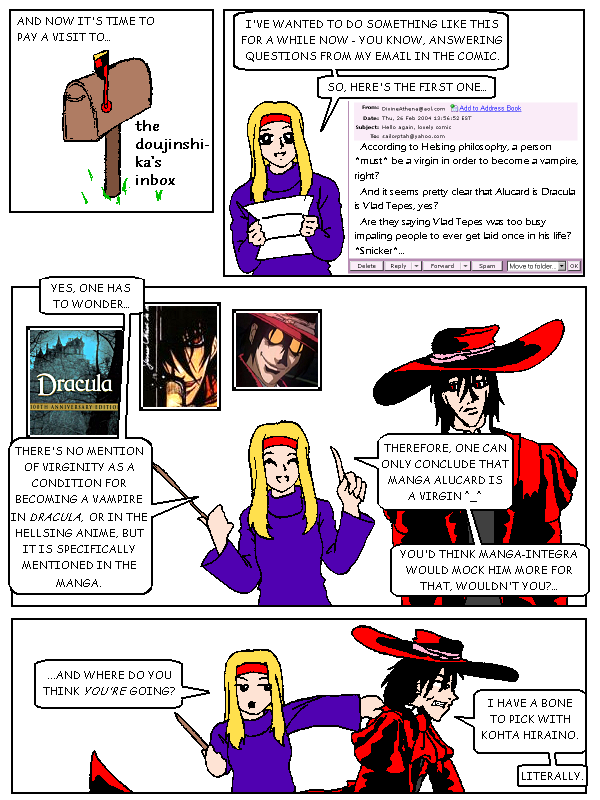 Alucard: I have a bone to pick with Kohta Hirano. Literally.